Limited budget and number of days on a certain place? Not a big deal for me because these are the items I usually figure out before embarking on a trip. But having no idea on where you’re going is a bit nerve-wracking. It might be a total mess for me. To test my limits, I accepted the challenge from Cebu Pacific Air and braved the bloggers’ edition of Juan for Fun 2017 Backpacker Challenge. Destination is a top secret few weeks prior to my flight. It was only revealed four hours before the estimated time of departure. I accepted the invite because I know it will be fun and it will provide a different travel experience. I swiftly sashayed to the check-in counter where they handed me my boarding pass and an adventure passport containing my tasks. Guess where I was assigned, CALBAYOG! 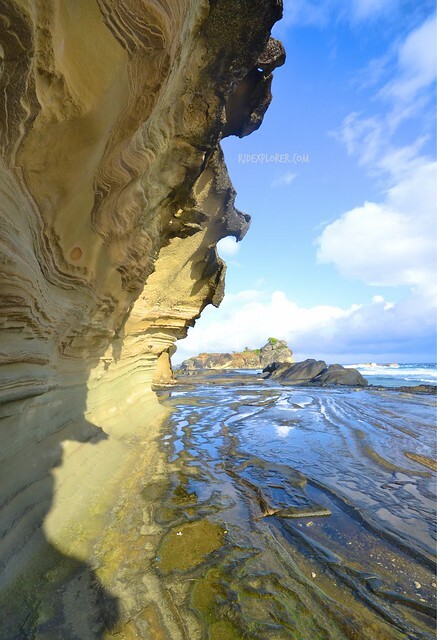 My dream of bouldering the rock formations in Biri Island was the first thing that made me giggle. While waiting for my boarding time, I did a little research on attractions to check and squeezing all of them to my allowed 3-days-and-2-nights adventure. I saved some information on my phone’s browser that I expected to be handy during my tour. Sadly, mobile data in Northern Samar is not that great leaving me no source for experiences to try and do. We landed safely on the short runway of Calbayog Airport but a thunderstorm hindered some of the passengers to deplane. When the weather normalized, I went straight out of the airport to flag tricycles bound to the city proper. 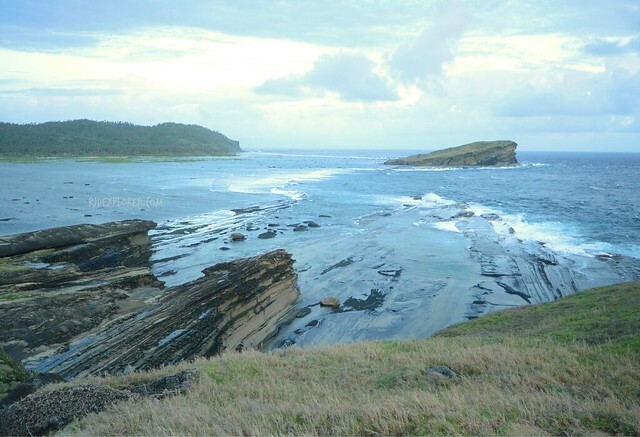 My goal was to reach Lavezares, Northern Samar, the jump off point to Biri Island. After almost 2 hours on the road, I reached the town of Allen. Trip from Grand Tours van terminal to Biri Island allowed me to try 4 different types of public transportation. I paid 20Php for a short pedicab ride to the tricycle terminal bound to Lavezares, while the tricycle ride cost me 50Php. The moment I reached the port, a motorboat was busy loading passengers bound to Biri Island. I instantly join the queue and hopped on the wiggling outrigger boat. Another hour was spent on the rough seas before riding a motorcycle (locally called as habal-habal) to the tourism office. I planned to view the sunset on one of the rock formations but it was too cloudy and already high tide. The tourism officer suggested that it’s better to rest for the day and explore the area the following day starting from sunrise. The officer had a long time answering my question about the must-try delicacy on their island. She can’t name one but revealed that seafood is abundant. I didn’t do prior reservations for my accommodation so I just asked the officer for possible options. 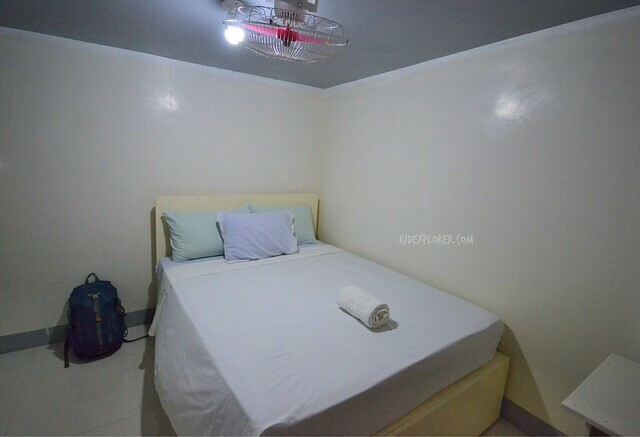 I ended up in Magallanes Suites and Spa, they’re very affordable for a Php500 fan room good for 2. After I settled my stuff, Kuya Julius, one of the children of the owners, volunteered to bring me to a village to look for crabs. It was funny to hop from one house to another knocking and asking if they have crabs available for sale. On the fourth house, ladies just finished their drinking session and Kuya Julius became their easy target for witticisms. The head of the household went out of the house when we mentioned about buying some crabs. Few minutes later, he returned, soaked, holding a net filled with crabs. When I asked for the price, a jaw dropping Php120 a kilo was the answer. 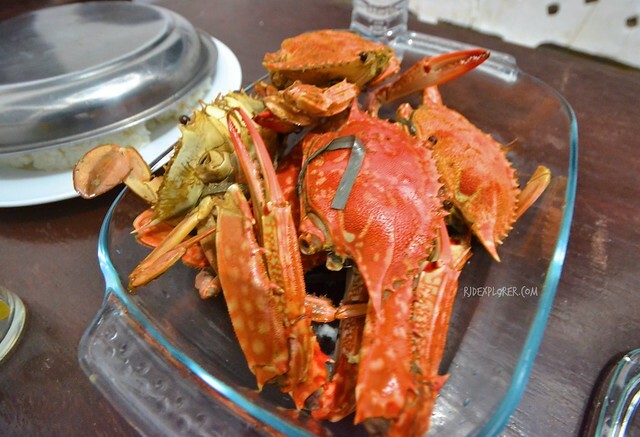 Seven regular-sized crabs served as my dinner and lunch during my stay in Biri Island. At 4 in the morning, my guide, Kuya Jimmy, was already waiting for me for the sunrise viewing in Makadlaw rock formation. With a headlight and his phone’s flashlight, we waded the knee-deep waters with some mangrove trees served as obstacles. We were first on the rock formation and patiently waited for the glorious sun. Unfortunately, it was too cloudy and windy and the plan to witness a stunning sunrise wasn’t accomplished. Disheartened, we left and moved to the nearby and famous Bel-at rock formation. 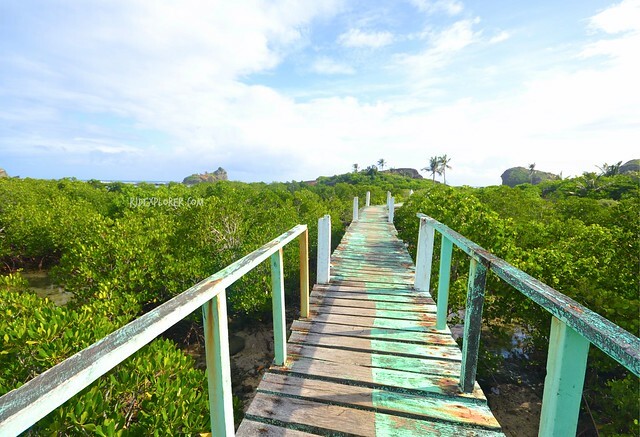 A hundred meters of wooden boardwalk traverses the mangrove area and easily connects the main road to the foot of the rock formation. 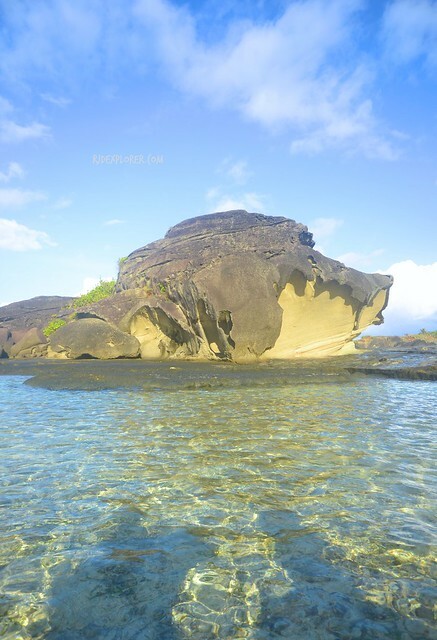 You can also scale the height of Bel-at or swim on a natural pool just few meters away from its base. Winds and wave continued to smacker every tourist wanting to enjoy the view. Light rain joined the ensemble and I already surmised a not so enjoyable experience. I was busy munching on some cheap biscuits when my guide recommended to go down the rock and proceed to its side to shade from the rain. The drizzles lasted for about 5 minutes and we continued to the adjacent formation, Karanas rock. With the rock formations we’ve visited that day, I enjoyed Karanas the most. The curve lines formed on its sides, the sharp and edgy rocks, and the monumental boulders surrounding its base. A small natural pool also serves as swimming area for tourists when the pool near Bel-at gets too crowded. 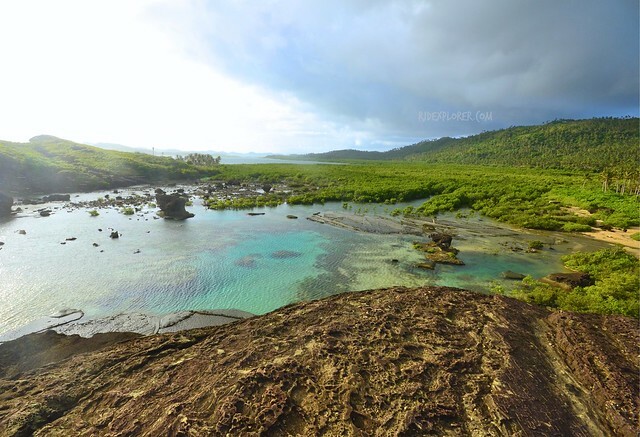 This was where I accomplished my third task, to swim on a natural pool. 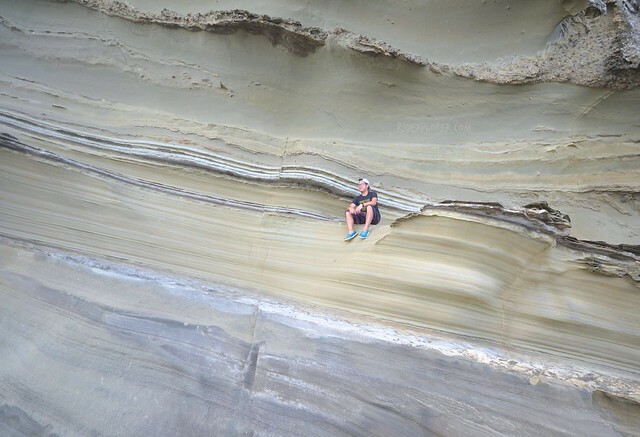 Before we ended the Biri Rock Formations tour, we dropped by Magasang and Magsapad rock formations. I went back to Magallanes to continue my unfinished business with the steamed crabs and left around 11:30AM. Waiting for passengers bound to Lavezares took a bit longer and I was fluky to have the other passengers, we were 3, to split the Php750 fix boat rate amongst us. We survived the waves and docked in Lavezares about past one in the afternoon. 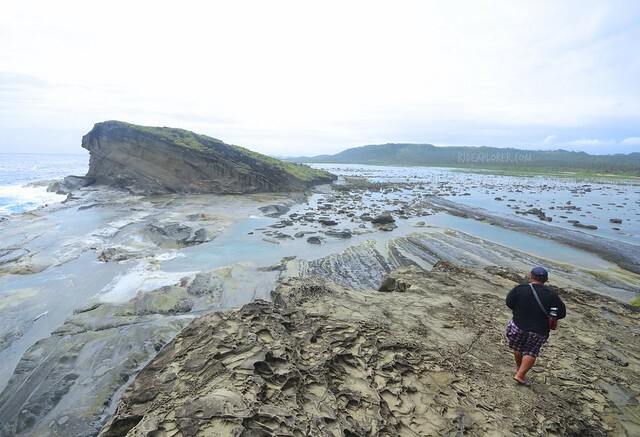 My determination to visit and explore Capul Island was unstoppable. The only problem was, last passenger boat bound to Capul from Allen leaves the mainland at noon time. Since I arrive past one and still needed to go back to Allen, my hope weakened. 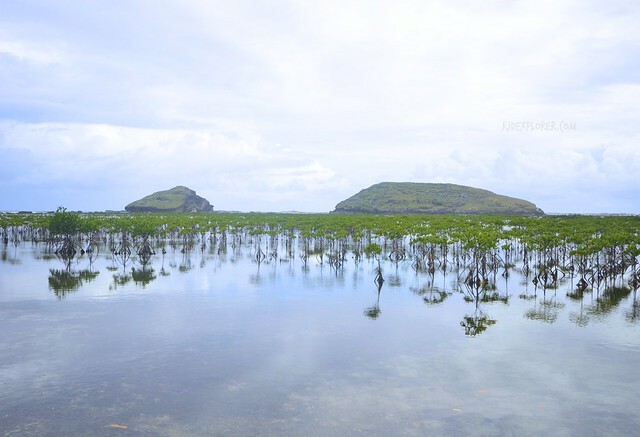 I read online that I can go to Dalupirit Island on a passenger boat and just hire an outrigger boat to Capul Island. 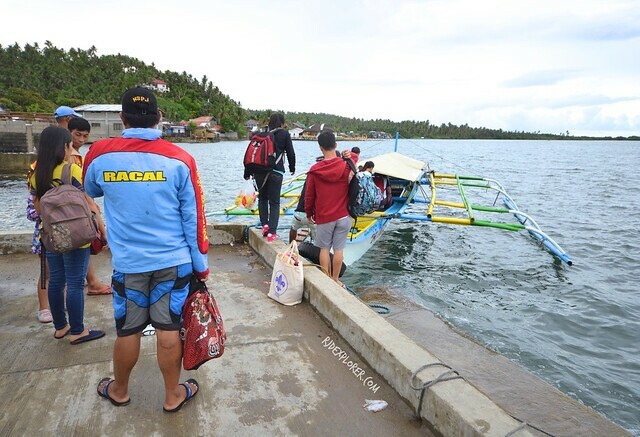 One of the boat crews in Victoria, where boats bound to Dalupirit waits for passengers, announced to everyone that I was trying to negotiate a Php300 boat ride to Capul Island. The lady boat dispatcher approached me and asked about my plans. She confirmed that boats to Capul from Victoria is Php1500. 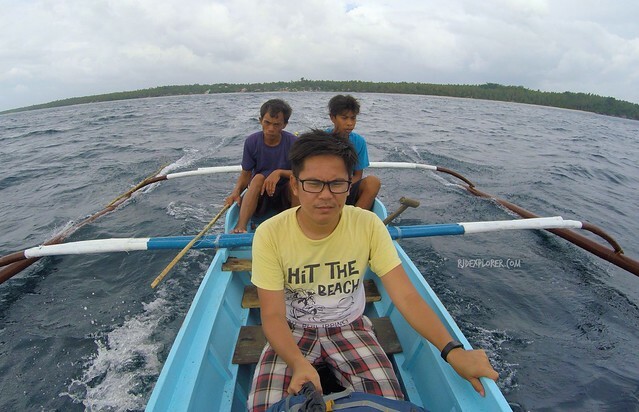 What I could do is to take the boat to Dalupirit and take a habal-habal ride to Sitio Dalupirit where I can flag a boat to Capul. Light rain joined us during the 30-minute ride to Dalupirit Island. When we arrived on the island, the clear water crashing on the sands of the island tried to entice me. My desire to make a step in Capul Island claimed superiority. The habal-habal driver became my first source of information in getting to Capul from their island. 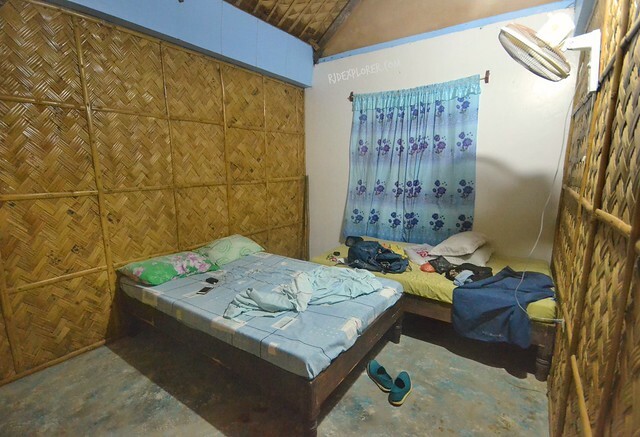 He brought me to Sitio Dalupirit and even helped me searched for locals who could bring me to the Capul. A man, busy cutting his nails, accommodated us. After checking the weather and providing the boat fee, I secured some freshly-baked breads on a nearby store while the boatmen prepare our vessel. Leaving the shores of Dalupirit, I smelled a swift ride to Capul Island. I even brought my action camera out to document the ride. After 10 minutes, I stopped recording and focused on gripping the edges of the boat. Big waves started to bug our tiny vessel and I sensed the unwelcoming waves. From that moment until we docked on Capul Island, I was communicating with my gods for us to dock safely on our destination. I bade farewell to the father and son tandem before they headed back to their home island. I wandered on the short strip of beach before negotiating with a habal-habal driver to tour me around Capul Island. Since it was already 4 in the afternoon, the only goal I had on my visit was to see Capul Lighthouse. Rainy weather befriended me during the almost 30-minute travel to Capul Lighthouse. The historic landmark was built by the Spaniards in 1896 and was completed during the American period. 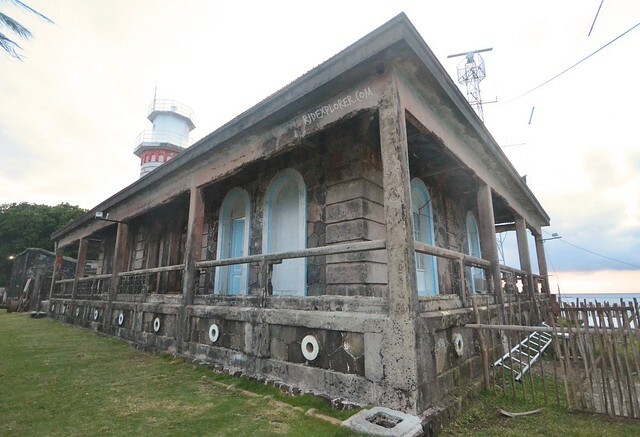 The lighthouse is 143 feet above sea level with a 40-foot tower. 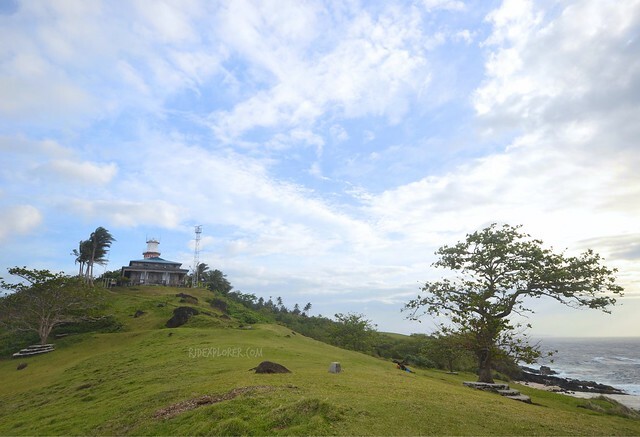 Few steps from the structure is a hill swamped with green grass creating a vibrant view of San Bernardino Strait. 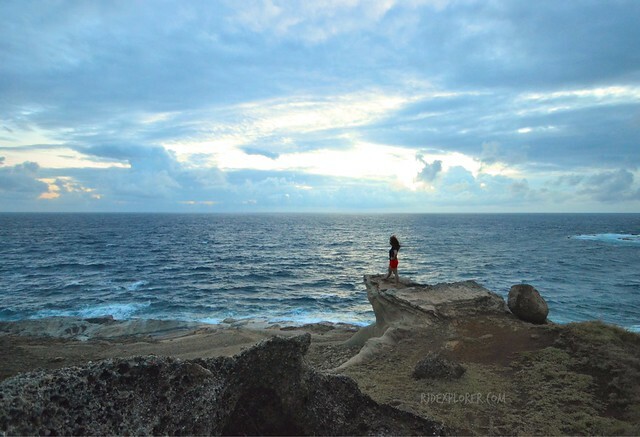 I ended the day taking pleasure from the sunset that I’ve missed the other day in Biri Island. All worries I had that day was relaxed on a nice sleep in a Php600 room (good for 4 persons) at the Capul Island Beach Resort. 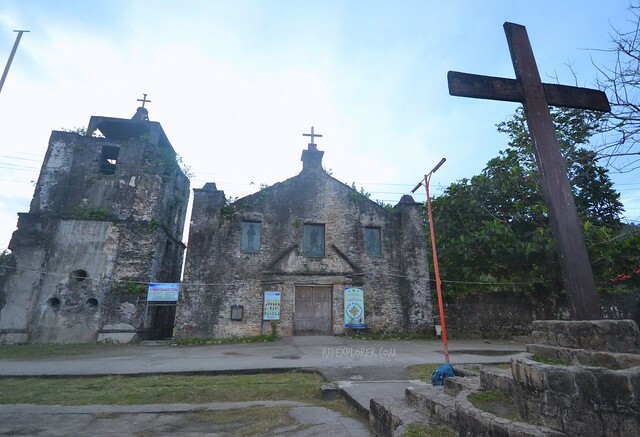 Before I headed back to mainland Samar on a passenger boat from Capul, I’ve dropped by the San Ignacio de Loyola Parish Church commonly known as Capul Church. Intense waves continued to pound the shores of Capul Island but two passenger boats were set to sail back to Allen. Before 9AM, I was already waiting at Grand Tour van terminal for my van back to Calbayog City. 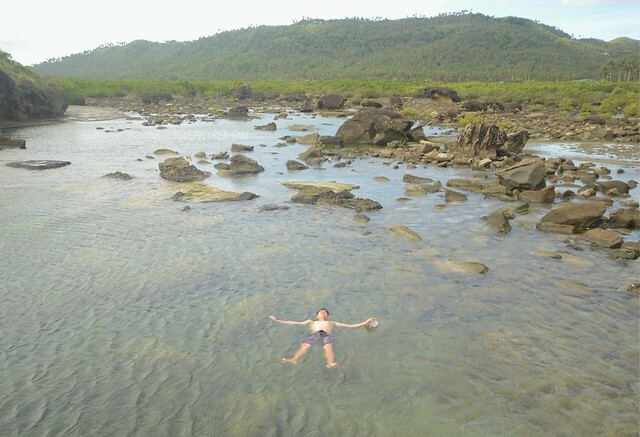 It was a short, unplanned, and exciting three days in Northern Samar. Weather didn’t cooperate that well but I really made the most out of my limited stay in the province. Spontaneous trips like this allow me to trust humanity. For all the trips I previously had, there’s always that thinking of getting scammed or harmed along the way. But the friendly locals on this part of the country really want to welcome travelers on their area and let these visitors appreciate what their locale can offer. The trip also gave me the chance to appreciate the island life. Kids in Biri Island still play traditional games unlike kids in big cities hooked on their tablets. They don’t have oversized shopping malls but the sea serves as a massive swimming pool just in-front of their houses. No fancy fast-food chains but luscious and fresh seafood for daily consumption. 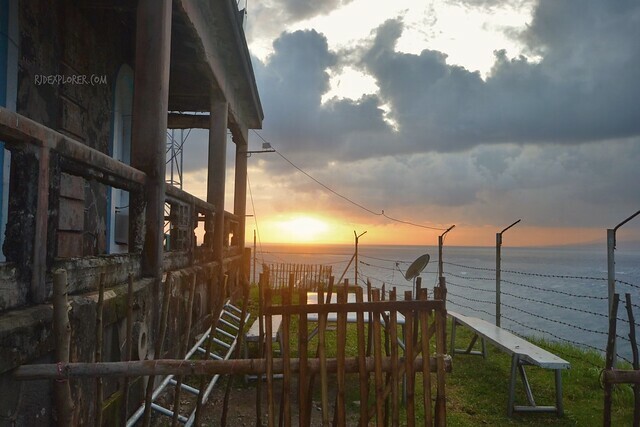 In Capul Island, electricity is only available from noon to 1AM but people are maximizing the amenity. These realizations will make you value the laid-back life compared to the hectic and fast-paced living in the metropolis. 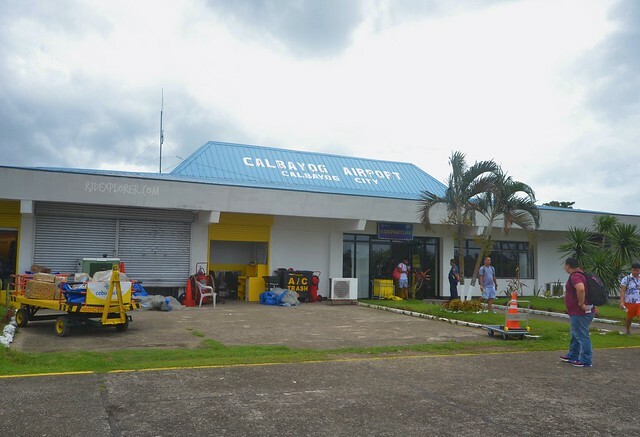 While on my way to the check-in counter at Calbayog Airport, I recalled how the challenge started from receiving my assigned destination to the short planning period I did. Thanks to all the locals of Northern Samar who’ve been so helpful and kind to me. Cebu Pacific Air flies from Cebu to Calabayog four times a week; Tuesday, Thursday, Saturday, and Sunday. Visit the airline’s website for seat sales and promos. * Habal-habal rates and guide fees can be split up to 3 persons. 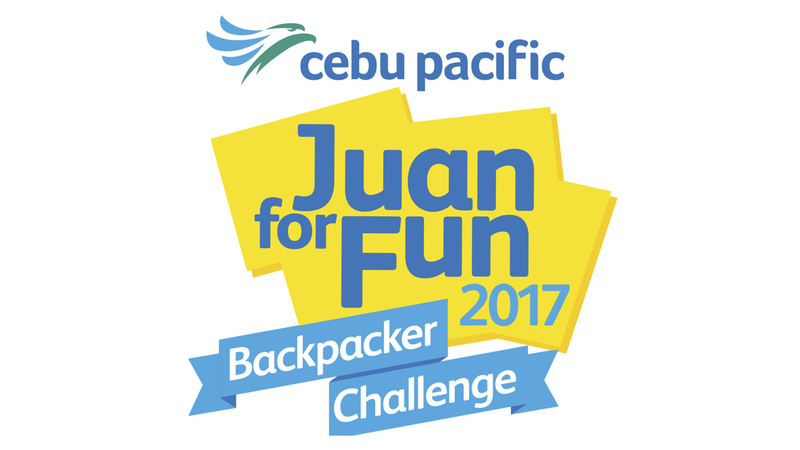 It’s now your turn to participate on a once-in-a-lifetime experience with Cebu Pacific Air’s Juan for Fun 2017 Backpacker Challenge. The challenge, now on its sixth year, calls college students or fresh graduates aged 18-23 years to form a team of 3. Members of the team could be from different colleges or universities. Create and upload a video answering the question “How can you share the FUN in Juan for Fun?”, fill out the sign-up form, submit and share! Each member of the winning team will receive a 1 year travel-all-you-can pass. Application period is from April 5 to May 15, 2017 (11:59 PH time). For more details, click this link: http://bit.ly/JFF2017RJ to watch the Juan for Fun 2017 video on Facebook. For more details, visit and follow Cebu Pacific Air’s official Facebook pages: Juan for Fun 2017 www.facebook.com/CebuPacificJFF or Cebu Pacific www.facebook.com/CebuPacificAir. You can also follow their Twitter and Instagram accounts @cebupacificair to learn more and score promos.